Assuming the rest of the album maintains this high level of quality, “Shackled and Drawn” is where Wrecking Ball becomes great. 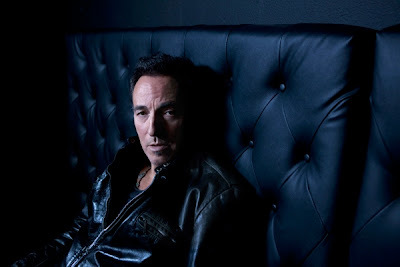 It’s where Springsteen’s musical ambitions for the record become clear, the atmosphere gets fully established, the message starts shining through with the utmost coherency and resonance, and the anger Springsteen spoke of in interviews emerges with ferocity. The music itself invites us, the listeners, to participate. Rolling Stone calls the song a “country folk-stomper,” and I can’t think of a better description. Like “Easy Money,” the arrangement mixes folk, country, and rock, the drums have a gripping, apocalyptic urgency, and there’s a dirty, loose immediacy to the recording that makes the track insanely infectious. Other voices can be heard in the background, as if Springsteen is singing to or with a big group of people, and the first image I had in my head as I listened to the track was that of community. The song has a first-person perspective, but Springsteen is singing for, perhaps even musically leading, a big group of people, a group we’re all invited to join from the opening bars. The song builds and builds as it goes along as if Springsteen, leading a rally cry, brings more and more people along with him as he dances through the streets, proclaiming his message. And that message is one most of us can all relate to. The character in this song is an average, ordinary American – the archetypical Springsteen protagonist – who has fallen on hard times and is working frantically just to scrape by after his world was suddenly torn asunder by economic collapse. He’s been “Shackled and Drawn,” and the work that used to keep him going – (flash back to opener “We Take Care of Our Own” – “The work that sets my hands, my soul free”) is rapidly evaporating. He’s got nothing left, but unlike previous Springsteen characters, like the ones on “Nebraska,” he hasn’t given up, and this is where things get interesting. The song certainly doesn’t sound hopeless, and the man’s determination to “keep singin’ this song” shows he’s still got a hell of a lot of fight left in him. The lyrics are simple enough to sing along but complex enough to get you thinking, and hopefully, to get you outraged. This song doesn’t aim to relate a singular experience: most of us have been “Shackled and Drawn” in the last few years. If we didn’t lose our jobs, we saw our retirement funds emptied. If our houses weren’t foreclosed, it’s likely interest rates went up. We’ve all felt our dollars getting thinner, our wallets tighter, and unless you’re extremely well-off, you’ve got a similar story to share. The song forces you ponder you own story, your own anger: I, for instance, came to the University of Colorado with an immediate tuition hike that took care of all the scholarship money I’d earned, and I’ll be paying an even higher tuition next year so the Chancellor can get his cushy $50,000 raise. We can all relate. Oh man, is that a cathartic verse or what? Springsteen is obviously alluding to how white-collar criminals on Wall Street gambled away the life savings and mortgages of millions of Americans, making off like bandits while the rest of us pay for their luxury. The singer is clearly aware of the class delineations that have been made, how rising income inequality creates a starker picture of “up” and “down” than ever before, and that contrast illustrates how far things have fallen for the majority of Americans. It’s such an angry song, but when I hear these lyrics, and I hear Springsteen singing so passionately, and the martial drumbeats fill my ears, and the big band sound fills my soul, I don’t feel fury. In an odd way, I feel better about things; the song takes my own anger about America’s situation, puts it in lyrically and musically eloquent terms, and gives me a stomping, sing-along rally call to channel my passion into. And that’s exactly what Springsteen needs to be doing on this album. He is keenly aware of the power of music to heal and unite, how far having a song to sing can go in setting us on the right track, and in “Shackled and Drawn,” he gets the rally going in the best way possible. Fox News would no doubt call this song a piece of “class warfare” against the rich, but that’s not the case. If there was a war, it was already waged, silently, against most Americans – dare I say it, 99 percent of us – and we came out on the losing end stripped of economic status and rights. But “Shackled and Drawn” is a great song because it doesn’t admit defeat. There’s still a fight to be had, and it’s for our freedoms, and banding together to get them back is our best option. We may be “Shackled and Drawn,” but we’ve got plenty of life left in us, and as the music suggests, we’ll keep on dancing and singing until we reach prosperity or the gallows. Fantastic, instant classic song. I can’t get it out of my head, and even if I could, I wouldn’t want to. I can’t wait to hear more.